Subscribe now	Introducing our rss feed! 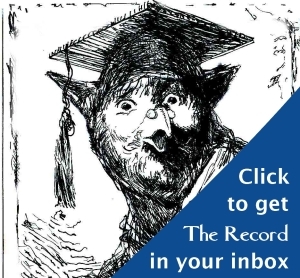 The New Yale Record Website- Click Here	Come visit the future! Brvusnia: Situate has declines significants!!!! When small talk won’t work. I bet she throws like a girl. Disregard the ad; I’ll hump anything that moves. And to think she’s doing it backwards in heels. 10 bucks says that guy has some performance anxiety tonight. Any takers? Site ©2011 The Yale Record Corp. • All material © its creator(s) and will be removed upon request. The Yale Record is not affiliated with Yale University, and Yale University is not responsible for its contents.